Food markets are a grassroots reflection of culture so when I’m travelling, these monuments to everyday life are at the top of my must-do list. Cambodia was no exception. Countryside food vendors, often a lone seller squatting by the roadside offer the overflow from their agricultural endeavours while villages and towns have permanent structures under which the daily markets pop up. Wonderful photographic opportunities presented themselves at Kep on Cambodia’s southern coastline at a shoreline seafood market which predominantly sells blue crabs. The live crabs are held in wicker baskets submerged in the sea waiting to be sold. That’s what I call fresh. There was plenty of other seafood and related products at this market too, dried, barbecued and fresh, sauces, pastes and seasonings. There is no refrigeration so the fresh fish and prawns are stored in bowls ingeniously suspended over ice. 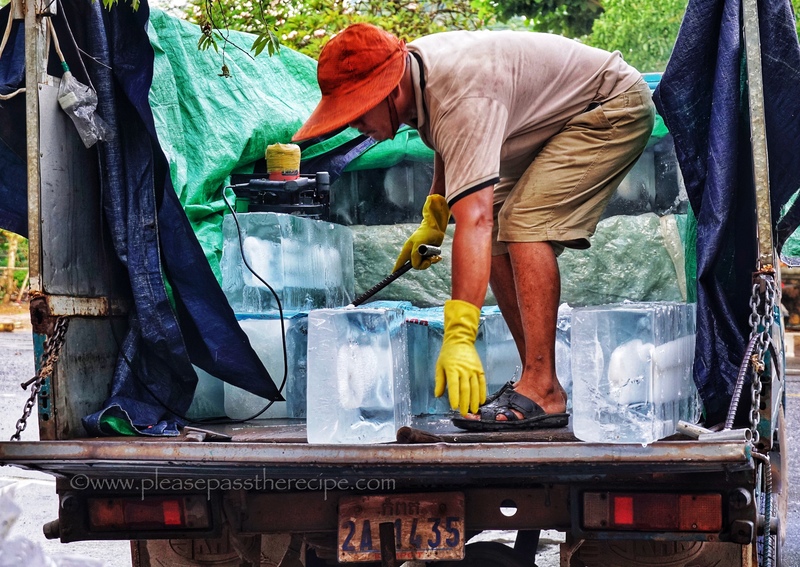 The ice man makes regular deliveries. Dried prawns and calamari are commonly used to add a delicious umami to local cooked specialties. Khmer cooking also sparingly uses a fermented fish paste product prahok which is similar to Thai belachan. Fish sauce, teuk trei in Cambodian, is a common seasoning. All were available at the Kep crab market. 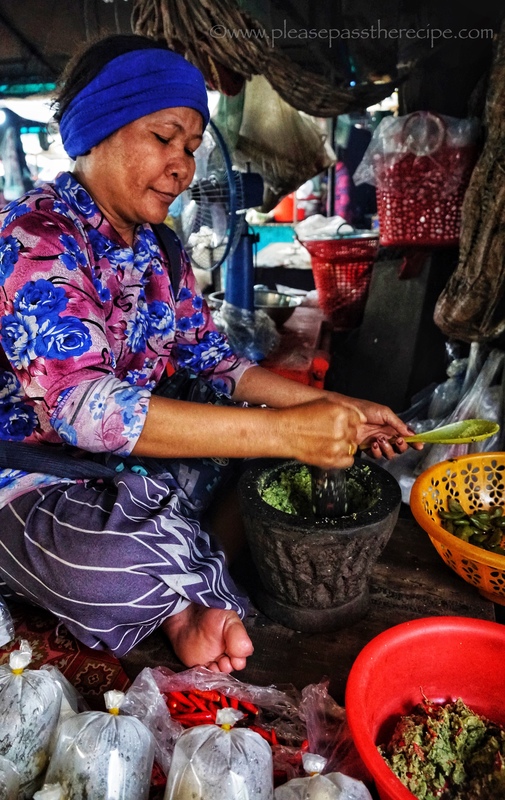 At the same market I engaged with a woman armed with a domestic mortar and pestle pounding chillies, lemongrass, galangal, lime leaf and garlic into a paste, and bagging it into meal sized portions for sale, an instant start to dinner. That’s my kind of fast food. 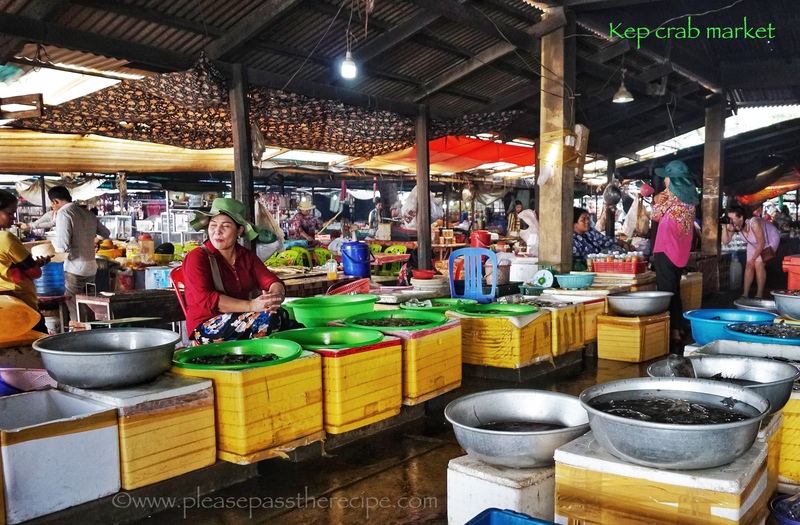 Kep’s market is a one stop shop, a small amount of fruit and vegetables in season are also sold here. 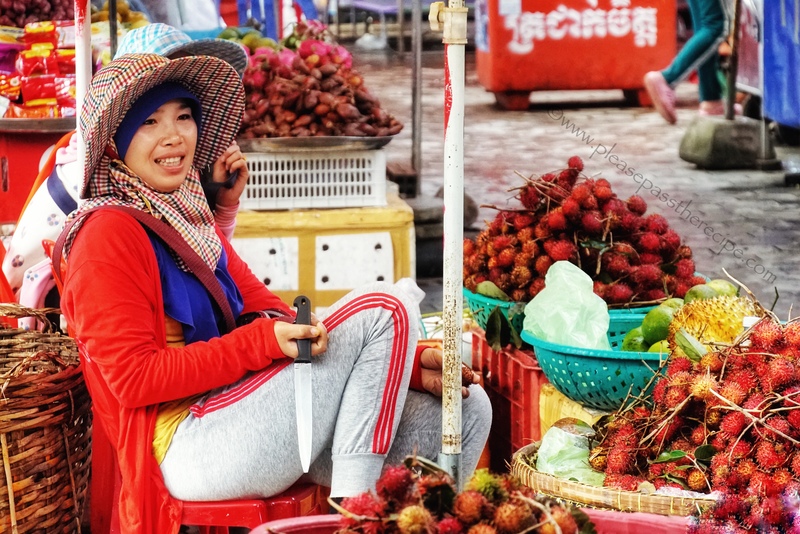 It was rambutan season when we visited and the good humoured knife wielding sellers insist you try before you buy. It’s a great marketing tool. Lunch at an adjacent restaurant was crab, of course. What a fabulous trip that was! Great pics and enviable markets. Makes me long to visit. Wonderful, again! What a lovely trip you had. Cambodia is amazing destination Michelle, it far surpassed my expectations. I love markets like this. Those crabs look very tasty and the rambutan looks very fresh and I bet they were nice and sweet. Great market shots Sandra. Love those pounded pastes they make through Asia, makes you want to start cooking. Thanks you and yes it does. I was surprised at the locals looking for shortcuts…. All the markets we visited in Cambodia and Vietnam were spotless. Very reassuring and emboldened me to eat food prepared on site. The markets in Cambodia weren’t like this 15 years ago, though I agree that these days, the markets are spotless throughout Asia, at least those I have seen in recent years in Northern Thailand, Vietnam and Bali. Great shots, Sandra. Market sellers wielding knives is one way to get your attention. I couldn’t refuse. How fresh are those crabs?! Were you tempted to buy and have a cook up back at the hotel? Yes, it is one of the joys ~ and a great way to eat the local food. Photographic opportunities indeed!!! Fabulous post and photos. 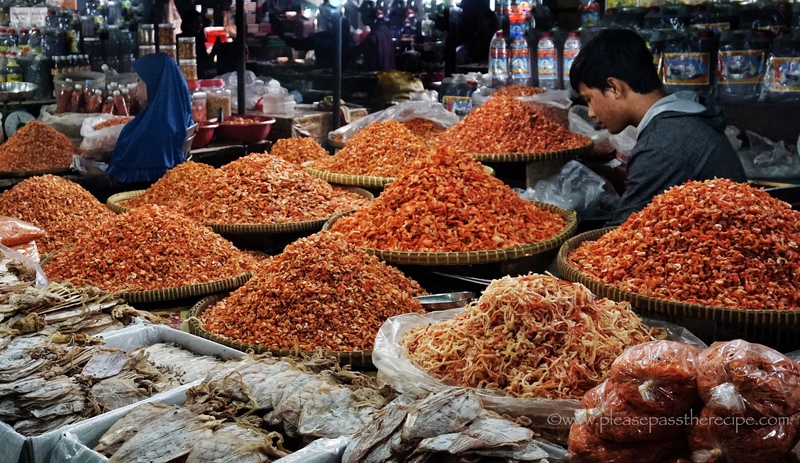 This entry was posted on November 29, 2018 by ladyredspecs in Cooking, Food, photography, travel and tagged cambodia, kep, markets, photography, travel photography.